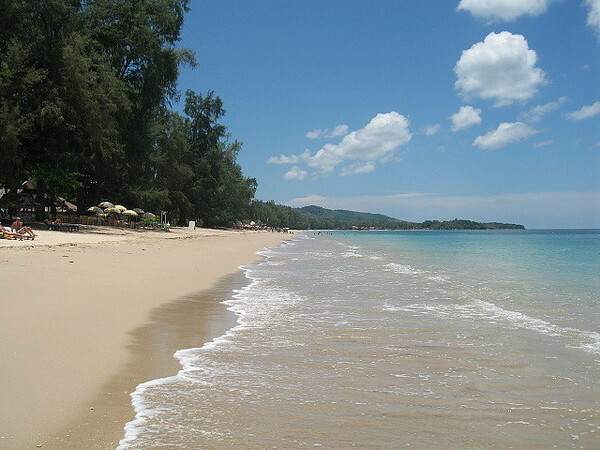 Long Beach is the biggest and most popular of Koh Lanta’s beaches. It’s a 10 minute drive from Saladan village and the ferry port and so easily accessible. Golden soft sand stretches for 5 kilometres and is fringed with tall pine trees. The beach gently slopes towards the sea where the water goes deep very quickly creating the perfect place to swim on a hot day. The best thing about Long Beach is even on a busy day it seems deserted. Because Long Beach’s resorts, guesthouses, bars and restaurants are all scattered along the length of the beach and set back amongst the trees, the beach itself remains wide open and there are very few sunbeds or restaurant tables taking up space directly on the beach. This gives a beautiful sense of space along the beach. See our comprehensive Long Beach map below to get your bearings on all of Long Beach’s hotels and restaurants. You can get a perfect beach view and some shade from the restaurants and bars that look directly out over the sea – and of course a cold drink in your hand or a good meal. Long Beach’s bars also provide the perfect location for watching Koh Lanta’s amazing sunsets, which change the sky all kinds of colours over the ocean before the sun finally sinks below the horizon. Because Long Beach has such a wide. uninterrupted view of the horizon, it makes for spectacular viewing. There are many resorts on Long Beach – here are our hand-picked recommendations of the best Long Beach accommodation, grouped into Luxury, Mid-Range and Budget. There’s a good range of budget places on Long Beach because there’s quite a lot of space here so they haven’t been moved on by developers wanting to build more upmarket developments. If you head to the main road you may need a taxi or motorbike to get around as Long Beach is quite spread out. The main surgery with Dr.Salarin is in Long Beach and also a dentist. Look out for the Irish Bar and Barcode. If you want great food try checking out the Red Snapper Restaurant, The Tavern or Retro Cafe. You will also find many shops, internet services, ATM’s and of course a 24hr 7 Eleven. You can see the exact location of every Long Beach villa, hotel and restaurant on Amazing Lanta’s comprehensive map of Long Beach. Amenities such as ATMs, minimarts and clinics are also marked. Rollover each label on the map for a quick description and click to see more information and check availability for hotels. 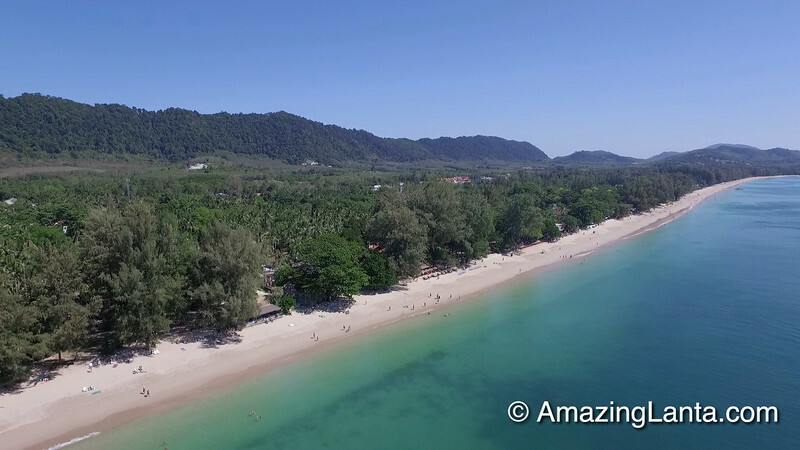 Here is AmazingLanta.comâ€™s interactive map of Long Beach on Koh Lanta- click on the icons to see information on the hotels.